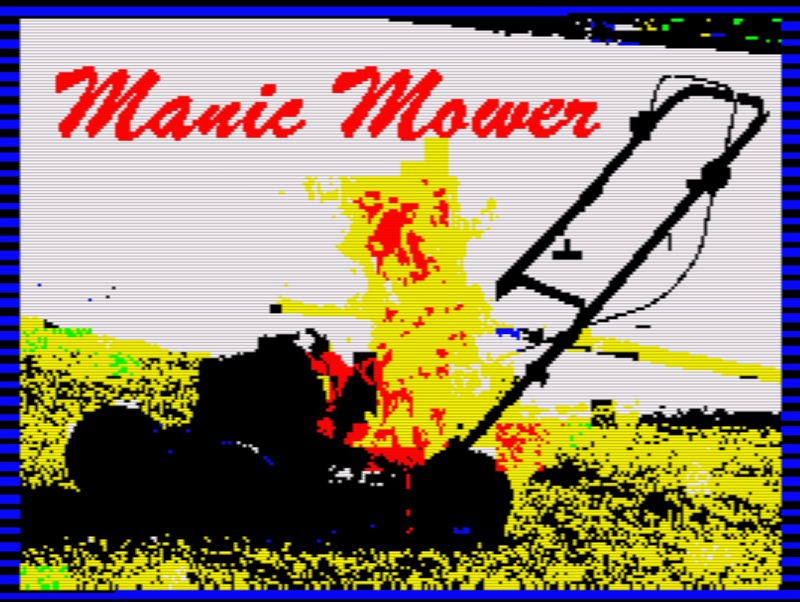 A relatively new ZX Spectrum game for your enjoyment this evening, as Balford has released Manic Mower the 24th Anniversary edition for the ZX Spectrum. Originally a 1992 game that made its way onto Sinclair User 129 cover tape, has been remade and recoded in assembly and made available as a Tap and TZX File. 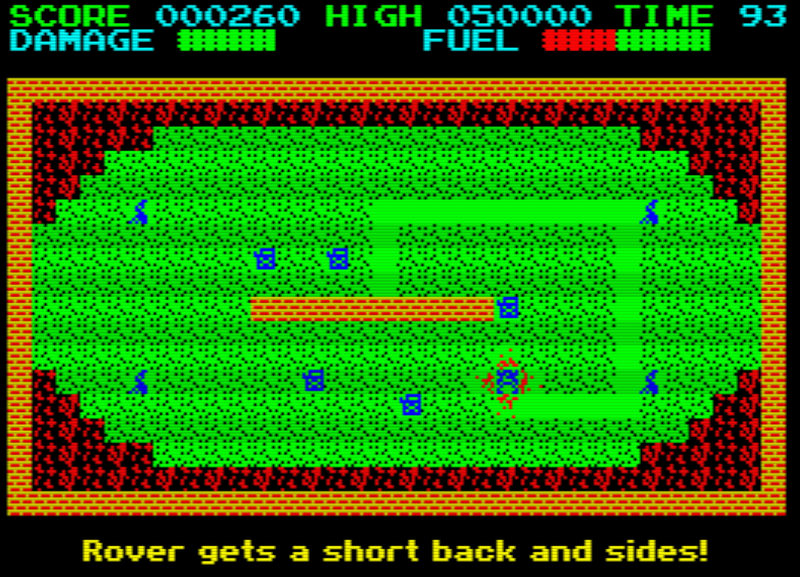 The gameplay from the original has been left alone as much as possible, while music has been added by Gasman with testing by Alex Gledhill. The only criticism for this one? The controls are not responsive enough, which may mean you end up piling into the rocky outcrop without being able to turn around! - Game over.